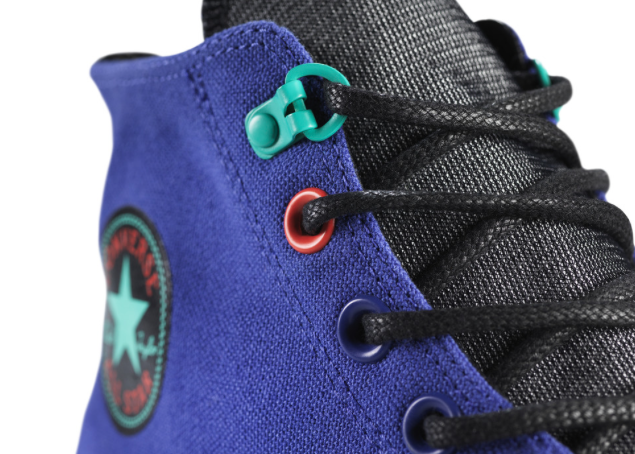 This is what Converse All Star Chucks-wearing Vancouverites have been waiting for! 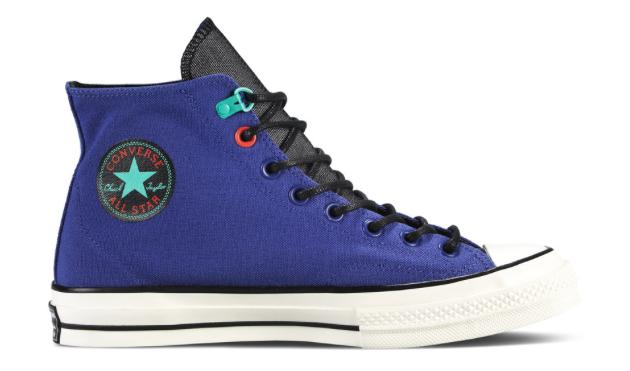 Converse has announced the limited edition Converse All Star Chuck ’70 Polartec, a weather resistant sneaker using revolutionary Polartec weatherization technology. Two pairs will be available: Clematis Blue (high top) and Gargoyle Gray Ox. Both have a reverse-colour tongue and bright red eyelets, along with a unique turquoise d-ring eyelet – going with the style of outdoor footwear. The shoes will command a premium price. Both the high-top and low-cut versions will set you back more than $110. Vancouver is one of only four cities that will have the shoes available, and you’ll find them at Livestock locations (141 East Pender St, 239 Abbott St, 1709 West 4th Ave). New York, San Francisco and Toronto are the other cities to be selling the limited edition shoes.